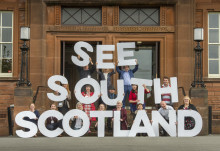 See South Scotland campaign has been launched. 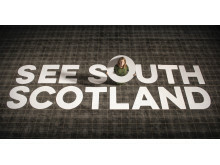 Half a million pounds of funding has been announced to launch a new campaign dedicated to attracting visitors to the South of Scotland. VisitScotland has been granted the additional funding from the Scottish Government to launch an ambitious two-year campaign to promote the south of Scotland as a tourism destination for coastal and forest activities in particular. As tourism leaders gathered in Dumfries on Tuesday (2 October) for the annual industry conference, VisitScotland Regional Leadership Director Paula Ward declared it an exciting time for tourism in Dumfries & Galloway and the Scottish Borders. She said: “This additional funding will be used by VisitScotland to develop and deliver an ambitious, targeted and coordinated marketing programme that promotes the wealth of fantastic experiences on offer across the South of Scotland. 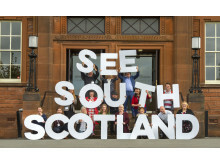 “From the dark skies to the dramatic coastline, not forgetting some of the world’s best walking and cycling routes on our doorstep, the See South Scotland campaign will bring to life the abundance of activities, rich experiences and stunning scenery on offer right across this region. 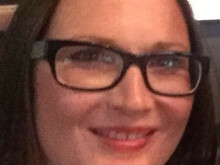 “It is a very exciting time for tourism with the development of the South of Scotland Economic Partnership and the opportunities afforded through the Borderlands Growth Deal. We have the opportunity to shine the spotlight onto this region and bring visitors from across the world to experience it for themselves. The campaign will launch this autumn, with international marketing activity kicking off early next year. 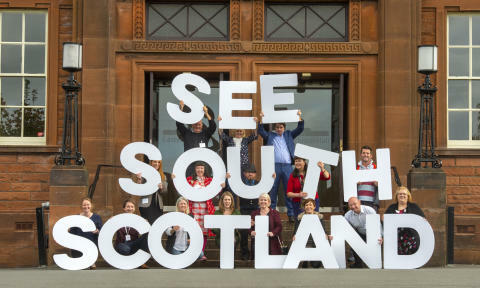 VisitScotland will target potential leisure visitors from domestic and international markets, encouraging them to visit the South of Scotland as the main driver for their visit to Scotland through the development of online content, foreign press trips, partnerships and digital marketing campaigns. In addition, nine tourism businesses from the Scottish Borders and Dumfries & Galloway will travel to Amsterdam at the end of October, as part of the national tourism organisation’s first European Business Development Mission. 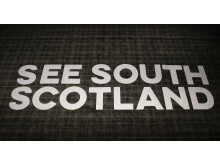 Tourism Secretary Fiona Hyslop said: “I’m delighted the Scottish Government is helping to put the south of Scotland on the map as a must-visit tourist destination. “This fantastic new campaign will help to promote the wide range of exciting attractions the area has to offer to both domestic and international markets. The announcement came as VisitScotland and Dumfries & Galloway held their annual joint industry conference at Easterbrook Hall in Dumfries this week. More than 100 tourism businesses from across the region came together during Business Week on the theme of Growth. The event was opened by Paula and Councillor Andrew Wood from Dumfries and Galloway Council, with keynote addresses from Council Leader Elaine Murray who spoke about the importance of tourism to the local authority. Delegates also heard from Anne Barclay and Adrian Turpin of the Wigtown Festival Company, celebrating 20 successful years of the Wigtown Book Festival. The conference also included workshops and networking opportunities. Attendees represented all areas of the tourism and hospitality sectors, ranging from accommodation providers and tour operators, to food and drink businesses, visitor attractions and events’ organisers.